Automated garage doors have become a major importance in our lives. Increased property value, convenience, safety and much more are all derived from our residential and commercial garage doors and their accessories. Call us when you need to keep yours going. If you’re like many homeowners, you probably don’t think much about your garage door until something starts to go wrong. Luckily, we take care of all of your garage door needs for you. Our experienced crew and technicians work technicians work with only the highest quality brands (Craftsman, LiftMaster, Linear, Ramset, Genie) and in most cases, can repair and service your door in less than one hour. We are open 24 hours a day, 7 days a week for your convenience. No matter what dilemma your garage door is experiencing, our experts will make sure your garage door is performing great again in no time. Call today and ask about our specials! Your garage door is much more important than you think. It helps to regulate the temperature in your house—even during the humid summers and bone chilling winters. If your garage door is broken you should repair it as quickly as possible to save yourself money on heating and cooling. We are here to assist you with any garage door needs. 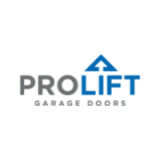 Our professional staff offers garage door services using only the highest quality materials and most trusted brands such as Craftsman, Genie, LiftMaster, Linear, Ramset, and Wayne Dalton. Most technicians can repair and service your garage door in less than an hour. 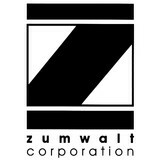 We are available 24 hours a day, 24 hours a week for your convenience. Call today to speak to one of our friendly technicians! Repairing an entire garage door might seem expensive and complicated, but our team of certified garage repair specialists can solve your problems in no time. Our service vehicles are fully stocked with spare parts for prompt service. We pride ourselves on being able to pinpoint the problem and fixing it with minimal inconvenience and only to the highest safety standards. 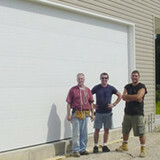 In addition, most garage doors can be repaired and serviced by a technician in less than one hour. It doesn't matter if your project is big, small, residential, or commercial. We will take care of all of your repair needs as promptly as possible. Our services are available 24 hours a day, seven days a week. Call today for 10% off of your first repair! 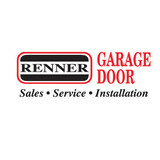 What kind of services do Saint Peters, MO garage door dealers and installers provide? 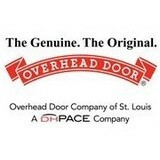 Find garage door sellers and installers in Saint Peters, MO on Houzz. Narrow your search for Saint Peters, MO garage door sellers and installers by selecting the nearest city or zip code. Look at portfolio and product photos, and read reviews to find the best Saint Peters, MO garage door professional for your home.